A chronograph designed for the track? 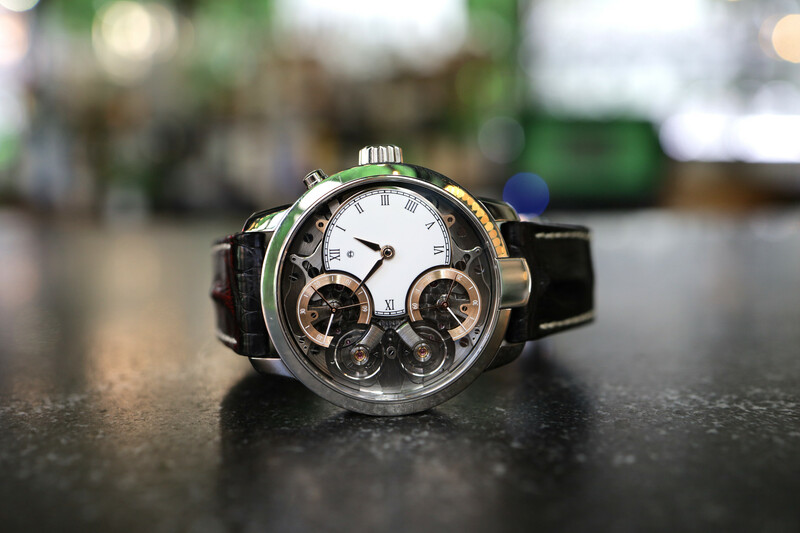 California-based, Singer Vehicle Designs, a company that specializes in tasteful Porsche 911 restorations – has teamed up with watch designer Marco Borraccino, and watchmaker Jean-Marc Wiederrecht, to create a mechanical chronograph for use at the track. Presented in a tonneau-shaped titanium case that measures 43 mm by 15 mm, the Track 1 exterior features brushed and polished surfaces along with a leather rally-style strap with metal eyelets. Under the hood, is the AgenGraphe movement (that is currently only used in one other watch, the Faberge Visionnaire), produced by Agenhor. 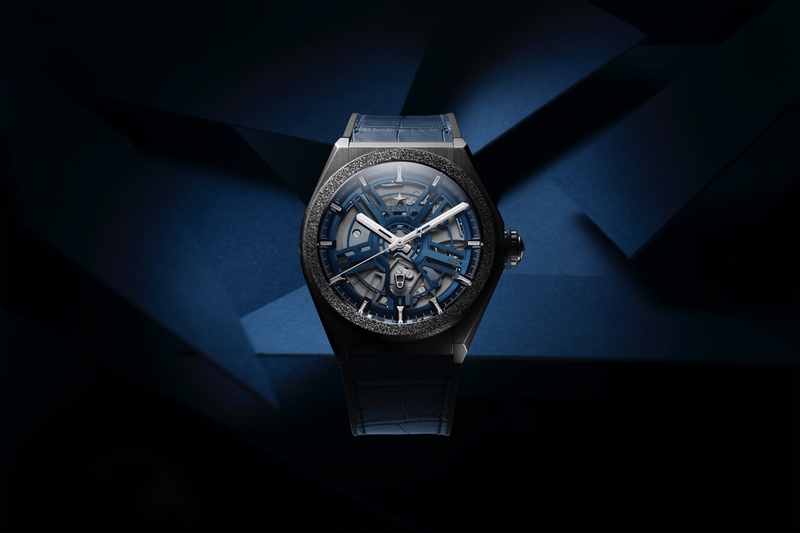 Consisting of 477 components and beating at 3Hz the automatic movement (caliber 6361) measures 34.4 mm x 7.18 mm and features a central chronograph display that, as you might expect, focuses on the chronograph, not the time. 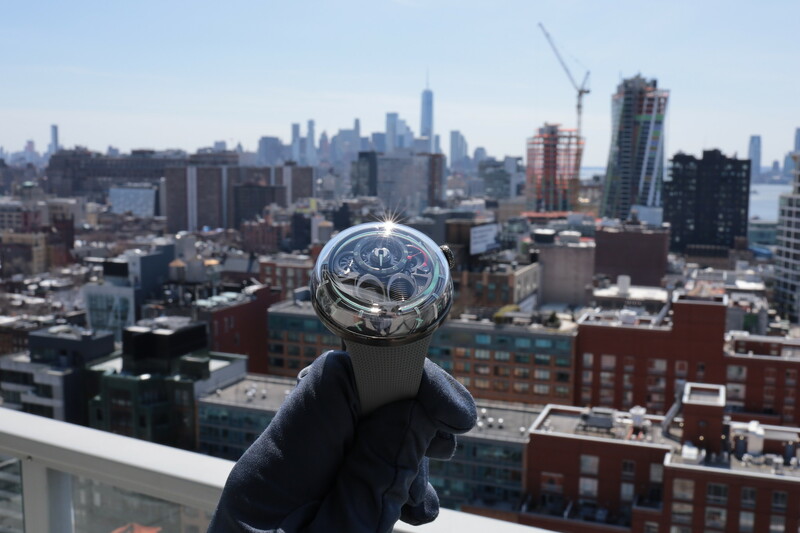 It is a wristwatch, though, and so while the timekeeping has been deemphasized, it is still displayed, via two aluminum discs that are located on the perimeter of the dial. To read the time simply look at the orange marker at 6 o’clock, which in the photos reads 10:10. Each disc has the numerals engraved and then filled with luminous material. There is no running seconds display. 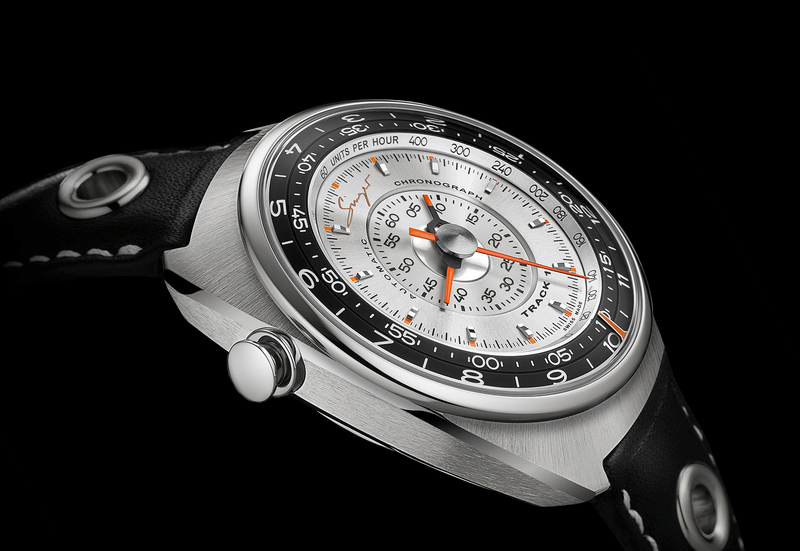 In the center, is the unique chronograph display with three hands and chapter rings to indicated elapsed hours, minutes, and seconds. You can record elapsed times up to 60-hours. The movement is has a 60-hour power reserve, and is finished very nicely, especially for a watch that is designed for the track. Whether a “track” chronograph is really necessary for this day and age is surely debatable considering that a digital stopwatch, track based timing system, or simply your smartphone will surely do the job more accurately – this is still a very cool innovation that will please connoisseurs of racing and watches alike.